Obstacle Courses, Relay Races, Tumble Track, Parachute Games, Rope Climb, Supervised Play, Foam Pit ,Indoor Playscape, Moon Bounce, Rock Climbing and much more! The party concludes with 30 minutes of cake & presents. You bring the cake and anything else you want to personalize your party. 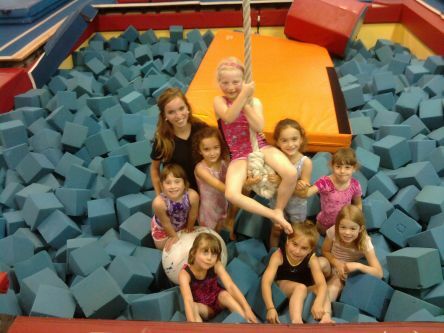 Obstacle Courses, Relay Races, Tumble Track, Parachute Games, Rope Climb, Supervised Play, Foam Pit. Birthdays and Field trips available during the week days call for details. 860-691-1235. 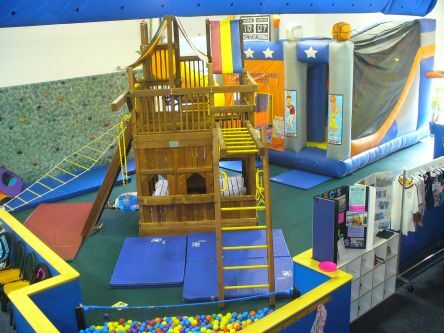 The Tumble Jungle includes a climbing rope, rock wall, ball pit, an indoor playscape, & an inflatable moon bounce. 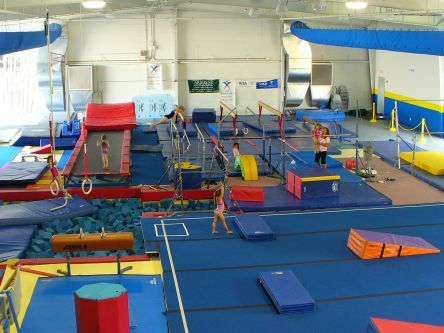 Parties typically spend one full hour of play in the Tumble Jungle supervised by an ABC's gymnastics instructor, followed by 30 minutes in the party room for cake and presents. Parties are responsible for bringing their own food, decorations, and anything else to personalize the occasion. All parties will receive invitations ahead of time and free class coupons at the end of the party to hand out to their guests. *$100.00 is due at the time when you reserve the date it is Non-refundable. **Field trips will be 1 ½ hours long. Tumble Jungle Available to Day Cares $25.00 Annual Registration Fee per day care & $5.00 a child per hour. Trips over 8 kids must be made in advance. Play group is also available to registered daycares.